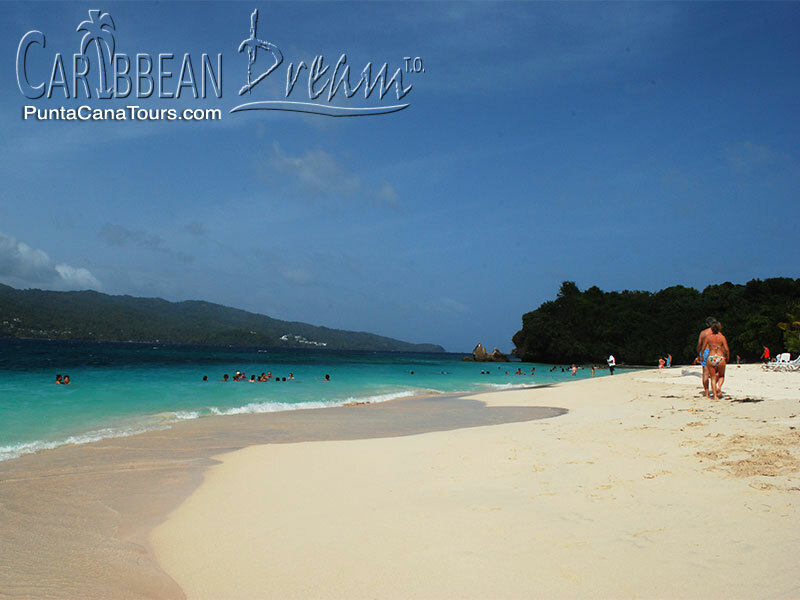 If flying to the Samana Peninsula isn't your favorite way to travel, then we have a great alternative, visit Samana by Bus! 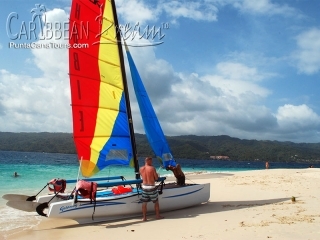 This great alternative to Samana by Plane allows you to see everything that Samana has to offer by only adding a few hours in transport, and more importantly subtracting the amount paid out of pocket. 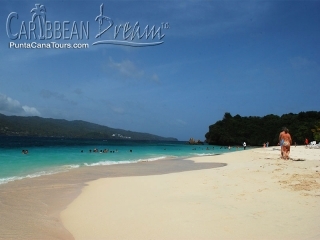 Instead of boarding a plane to Samana, you will take our bus approximately 2 hours to the small town of Canetas, where you then climb aboard a boat to take you the rest of the way to Samana about 40 min. We'll arrive at a private beach where you will enjoy a light breakfast. 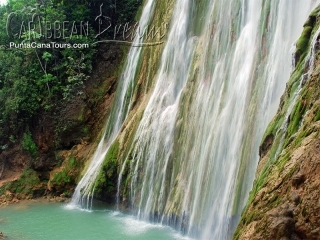 We'll then make our way to the entrance of the most magnificent waterfall in the country, El Salto de Limon. 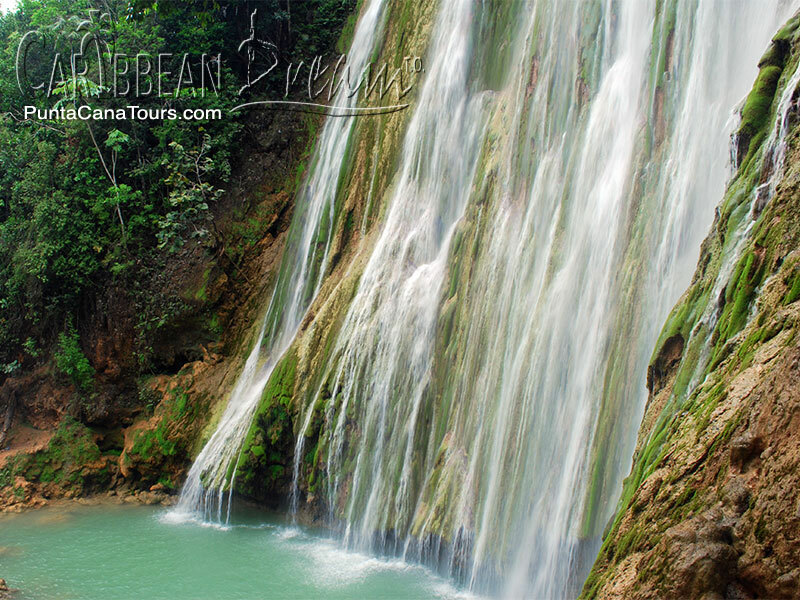 But first, we'll make a quick stop at a traditional Dominican household where you'll have the opportunity to learn a bit about local products and sample some for yourself including coffee, cocoa, natural fruit and the infamous Mamajuana. From here we'll continue by horse approximately 30 minutes through a notoriously muddy path to the steep staircase that brings you to the base of the waterfall. Don't worry, everyone has their own personal guide to lead the way and these horses know the trail like the back of their hoof. Now feast your eyes upon this spectacular sight. 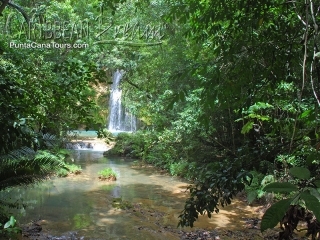 Nestled in the depths of Samana's tropical forests, the cascade crashes from 170 feet above into a green lagoon below. 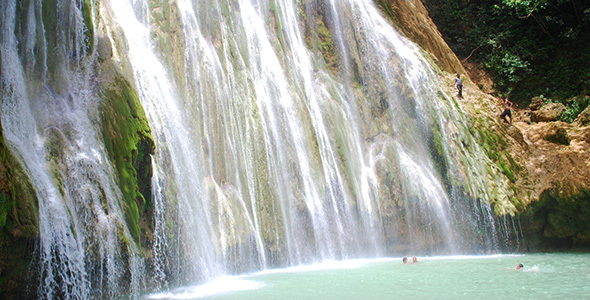 Take advantage and cool off in Limon's refreshing mountain waters! 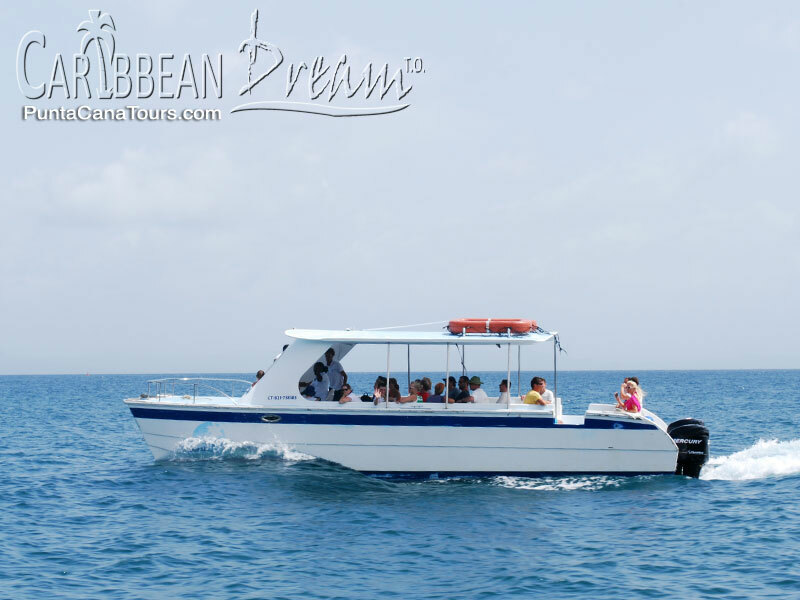 After we make our way back to the beginning of the trail, we'll climb into our open air truck and head down to the dock to take a short trip to Cayo Levantado, also known as Bacardi Island. First we'll fill our bellies with a delicious traditional Dominican lunch complete with rice, beans, meat, salad and fresh fruit, all enjoyed while relaxing under a palm tree and enjoying the tropical breeze. 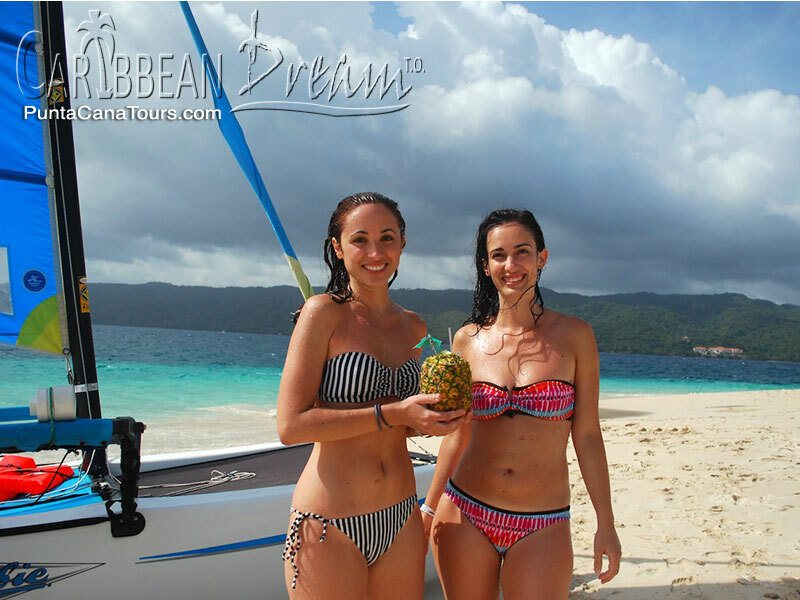 After lunch you'll have time to relax on the beach and try a fresh, mouth watering piña colada made with real pineapple! From here we start to make our way back to Punta Cana, where you'll have plenty of time to revel in this wonderful experience, appreciating part of what makes the Dominican Republic so special. This tour is not available during Whale Season January 20 - March 20. Please choose our Whale Watching excursion instead. The young men and women who tend to the horses on the waterfall hike are from the local countryside and may ask for a gratuity. This is completely at your discretion and is always appreciated. We can ensure the proper treatment of the horses but it is difficult to compare them to horses in North America, for example. These are country horses mainly used for cargo. You may walk if you prefer not to horseback ride. The walk is about 25 minutes to the fall. Whether you horseback or walk there is a long and steep staircase down to the fall. 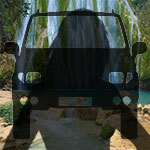 Drinks are included during the transport around Samana. 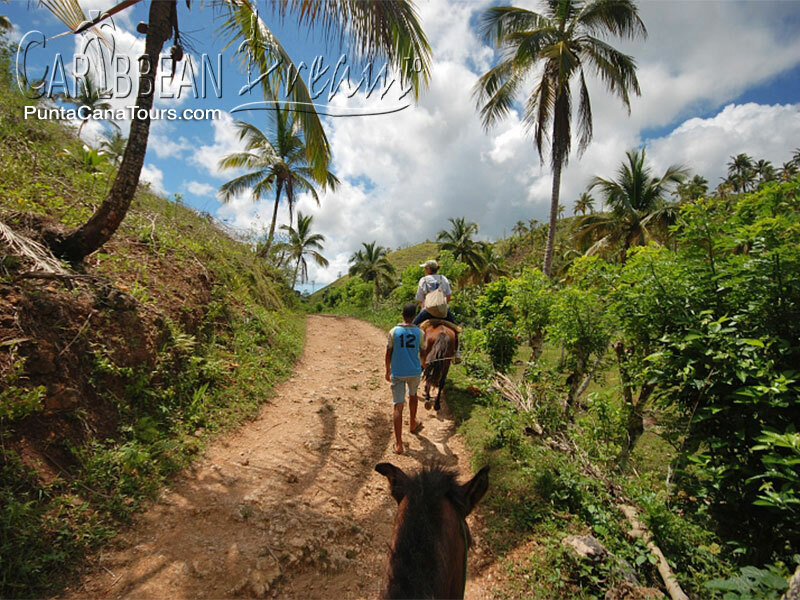 Please note that this itinerary is subject to change, specifically, lunch may be enjoyed at the ranch, on Samana's coast or at Cayo Levantado, depending on the day. 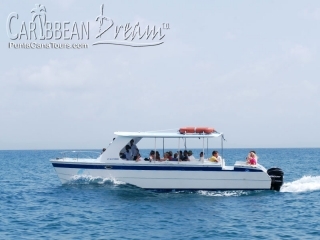 I would highly recommend Caribbean Dream and would use them again!! Scared of Heights, but would do it again!